Whisk the egg whites and add the sweetner. 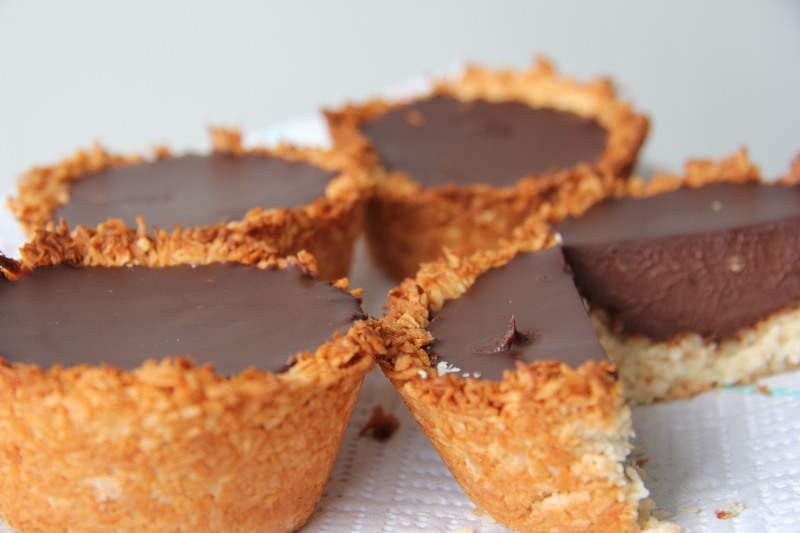 Fold the mixture into the dessicated coconut. 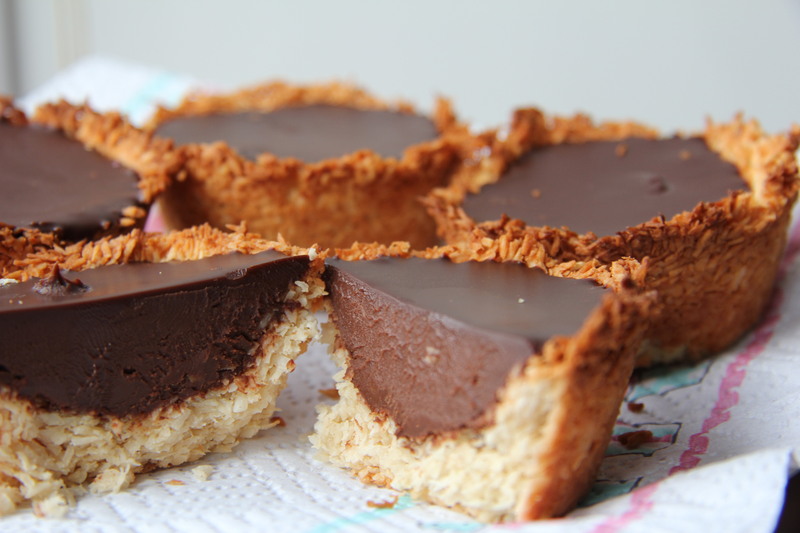 Place a large tablespoon of the coconut mixture into the muffin tin and press down to make the tartlet shell. Add more mixture if necessary. Gently heat the cream and add the vanilla and chocolate. 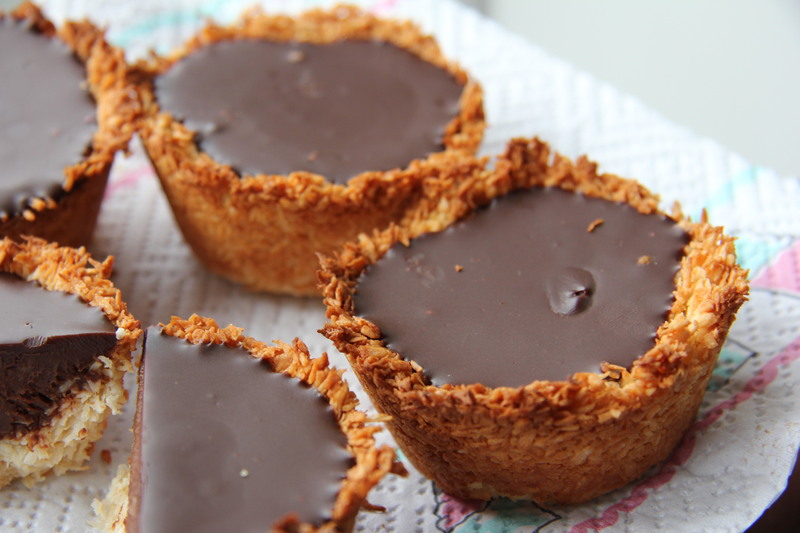 Stir until the chocolate has melted then pour into the coconut cups. Thanks Laurie. Hope you enjoy them!